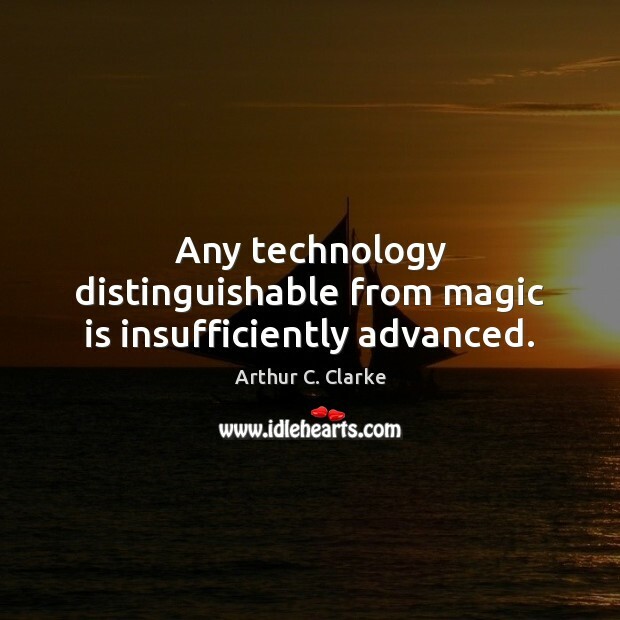 Quotations about Advanced Technology. Quotes to stimulate mind and drive action! Use the words and quote images to feed your brain inspiring things daily! There are some who question the relevance of space activities in a developing nation. To us, there is no ambiguity of purpose. 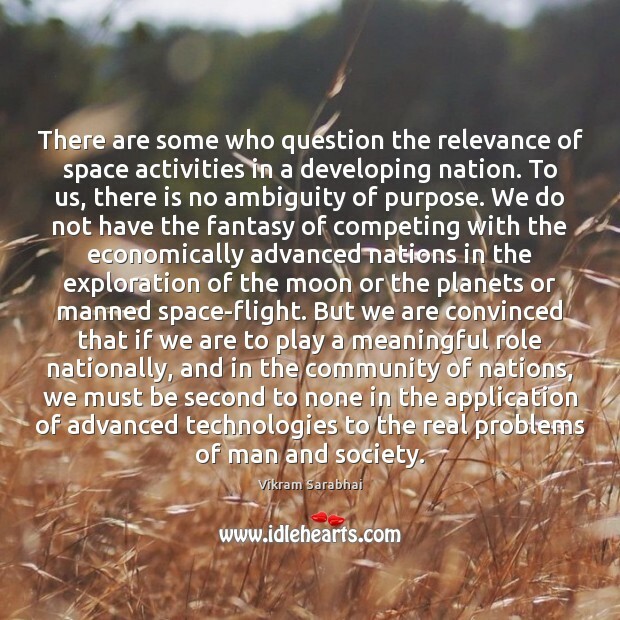 We do not have the fantasy of competing with the economically advanced nations in the exploration of the moon or the planets or manned space-flight. But we are convinced that if we are to play a meaningful role nationally, and in the community of nations, we must be second to none in the application of advanced technologies to the real problems of man and society. 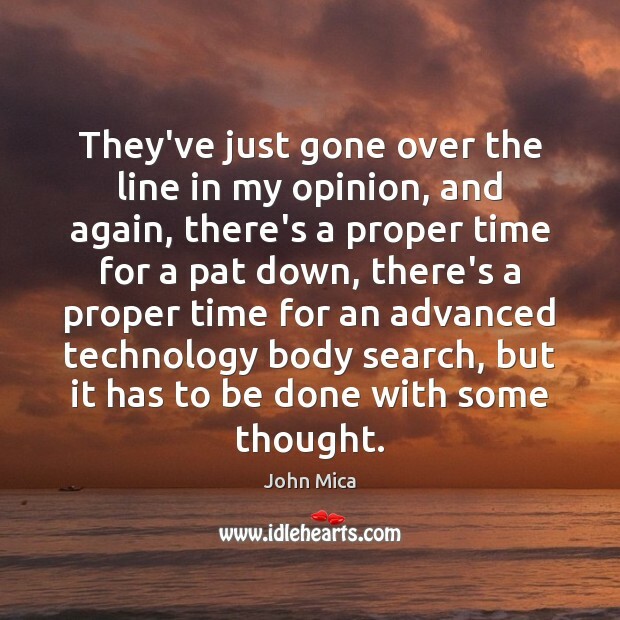 They've just gone over the line in my opinion, and again, there's a proper time for a pat down, there's a proper time for an advanced technology body search, but it has to be done with some thought. We've lost an edge that we used to have in scientific innovation applications to goods to be sold. In many ways, that is also changing in the electronic field. 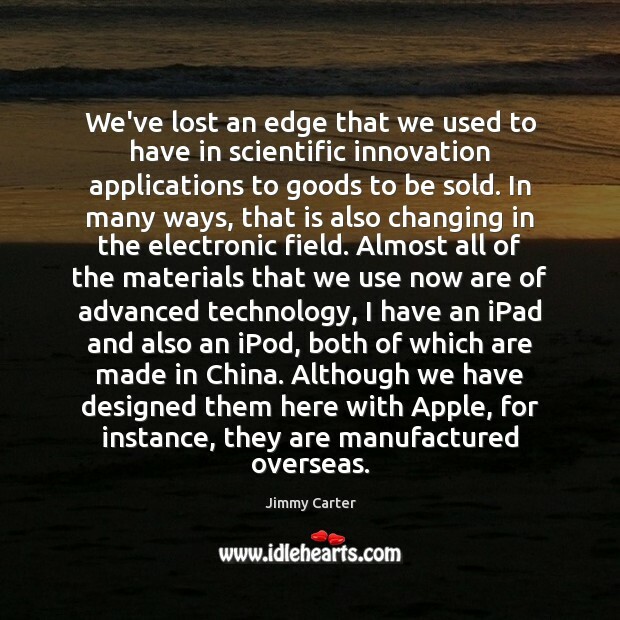 Almost all of the materials that we use now are of advanced technology, I have an iPad and also an iPod, both of which are made in China. Although we have designed them here with Apple, for instance, they are manufactured overseas. 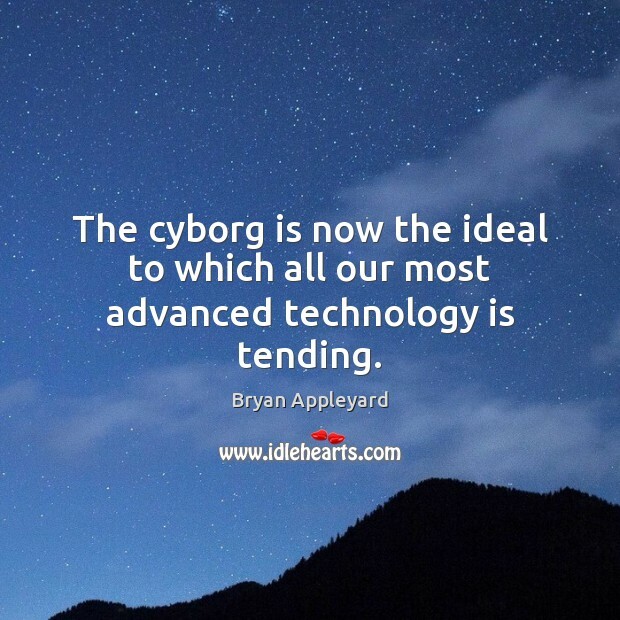 The cyborg is now the ideal to which all our most advanced technology is tending. 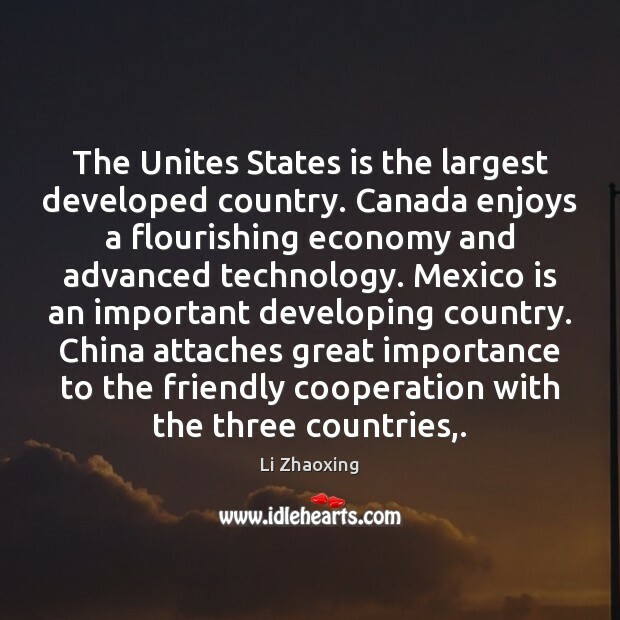 The Unites States is the largest developed country. Canada enjoys a flourishing economy and advanced technology. Mexico is an important developing country. China attaches great importance to the friendly cooperation with the three countries,. 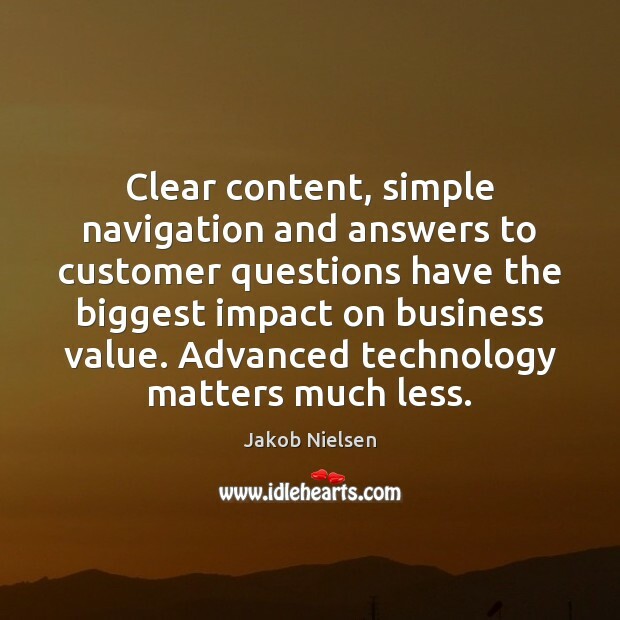 Clear content, simple navigation and answers to customer questions have the biggest impact on business value. Advanced technology matters much less. 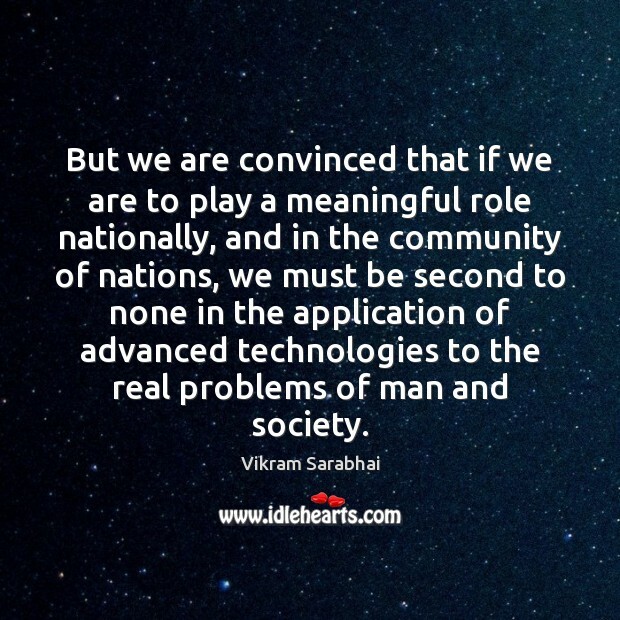 But we are convinced that if we are to play a meaningful role nationally, and in the community of nations, we must be second to none in the application of advanced technologies to the real problems of man and society. 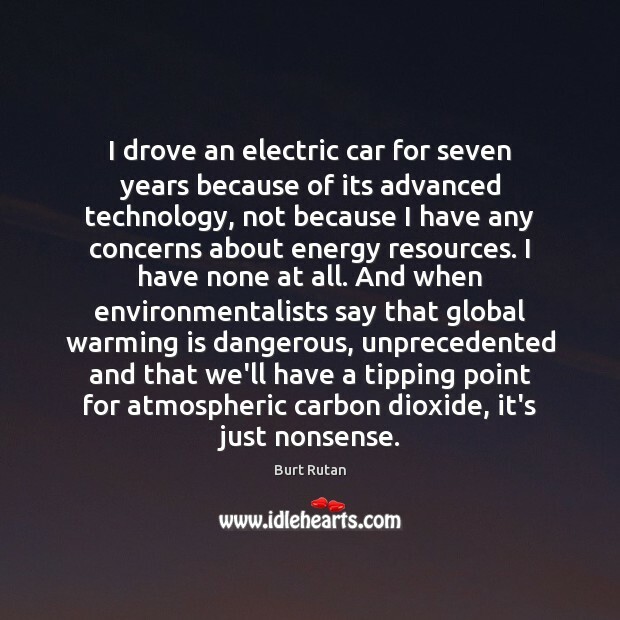 I drove an electric car for seven years because of its advanced technology, not because I have any concerns about energy resources. I have none at all. And when environmentalists say that global warming is dangerous, unprecedented and that we'll have a tipping point for atmospheric carbon dioxide, it's just nonsense. 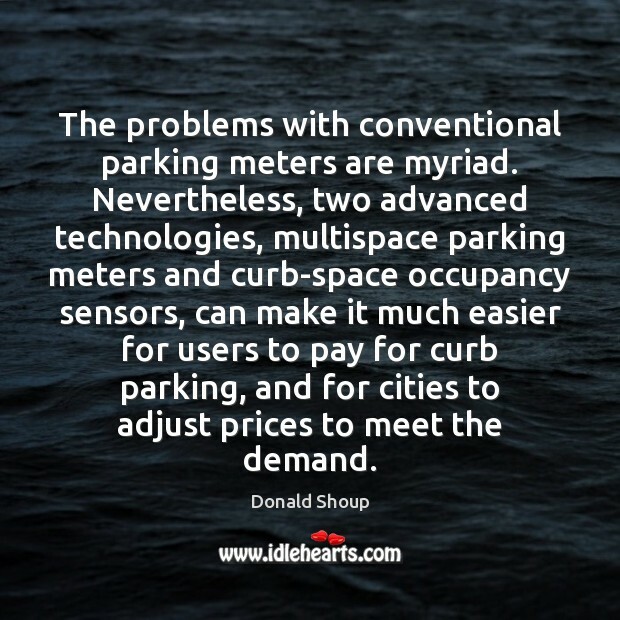 The problems with conventional parking meters are myriad. Nevertheless, two advanced technologies, multispace parking meters and curb-space occupancy sensors, can make it much easier for users to pay for curb parking, and for cities to adjust prices to meet the demand. If the Europeans truly wish to improve their NATO contribution they can show it simply enough. They can establish professional armed forces, like those of the UK. And they can acquire more advanced technology. Indeed, unless that happens soon the gulf between the European and US capabilities will yawn so wide that it will not be possible to share the same battlefield. 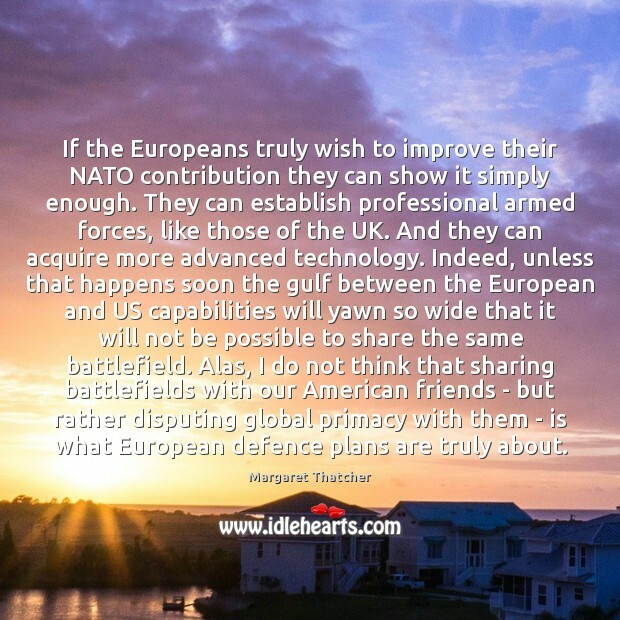 Alas, I do not think that sharing battlefields with our American friends - but rather disputing global primacy with them - is what European defence plans are truly about. 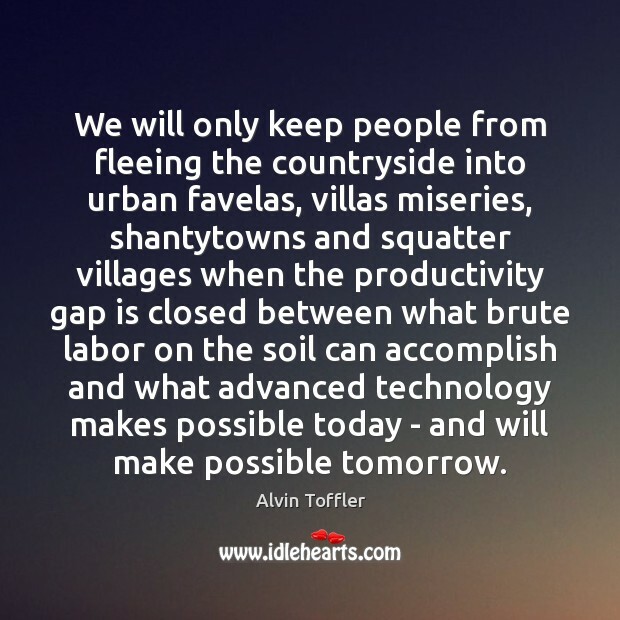 We will only keep people from fleeing the countryside into urban favelas, villas miseries, shantytowns and squatter villages when the productivity gap is closed between what brute labor on the soil can accomplish and what advanced technology makes possible today - and will make possible tomorrow. 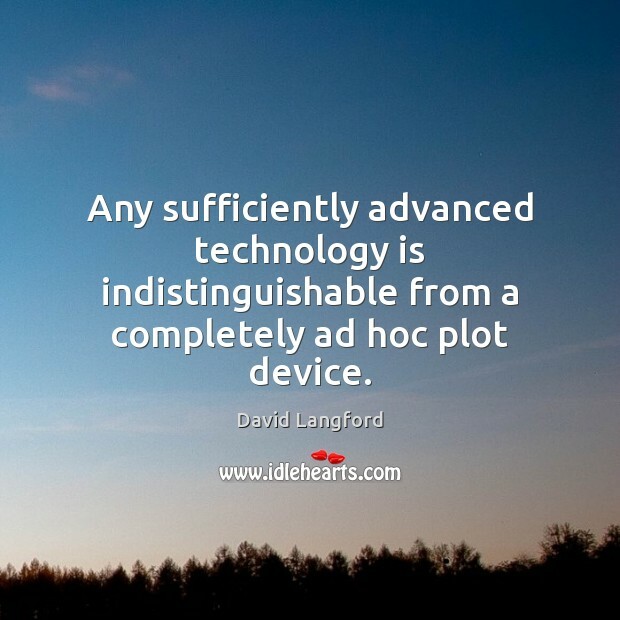 Any sufficiently advanced technology is indistinguishable from a completely ad hoc plot device. Advanced technology does not always promise a more intelligent civilization. 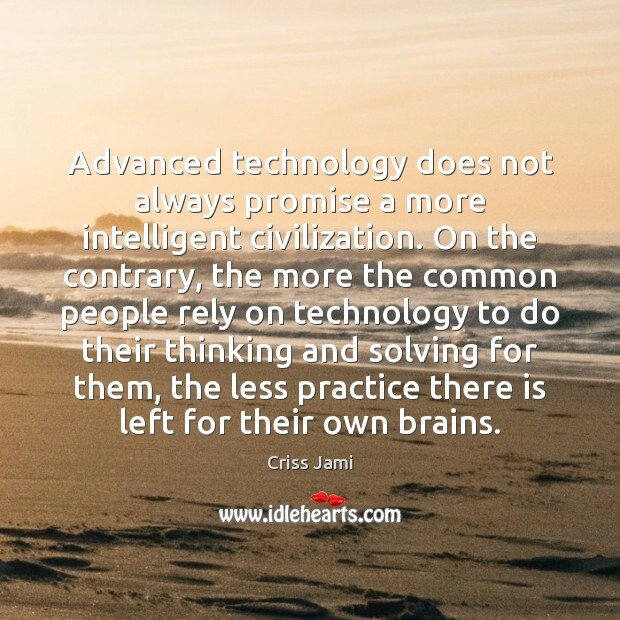 On the contrary, the more the common people rely on technology to do their thinking and solving for them, the less practice there is left for their own brains. 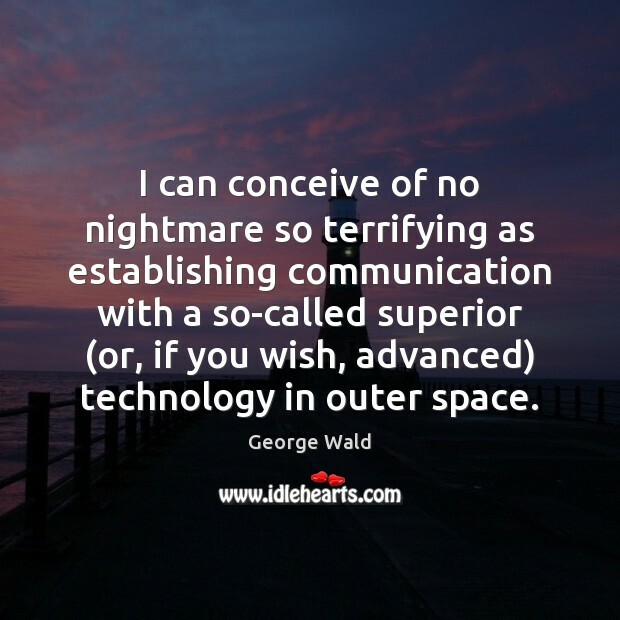 I can conceive of no nightmare so terrifying as establishing communication with a so-called superior (or, if you wish, advanced) technology in outer space. 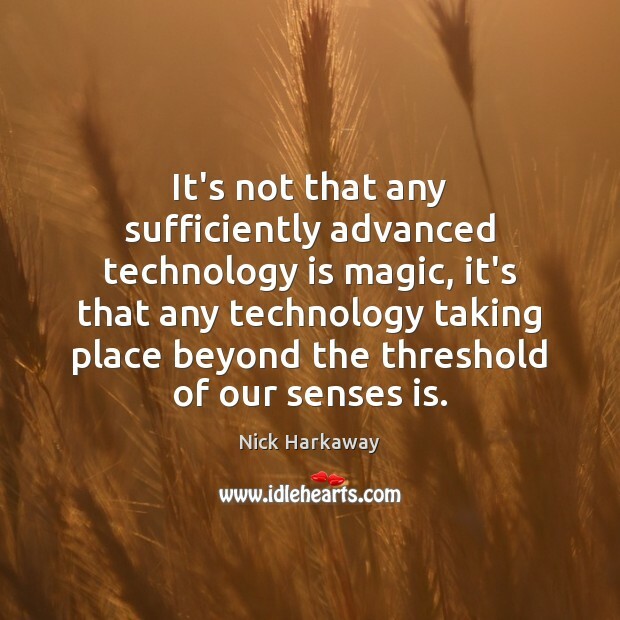 It's not that any sufficiently advanced technology is magic, it's that any technology taking place beyond the threshold of our senses is. 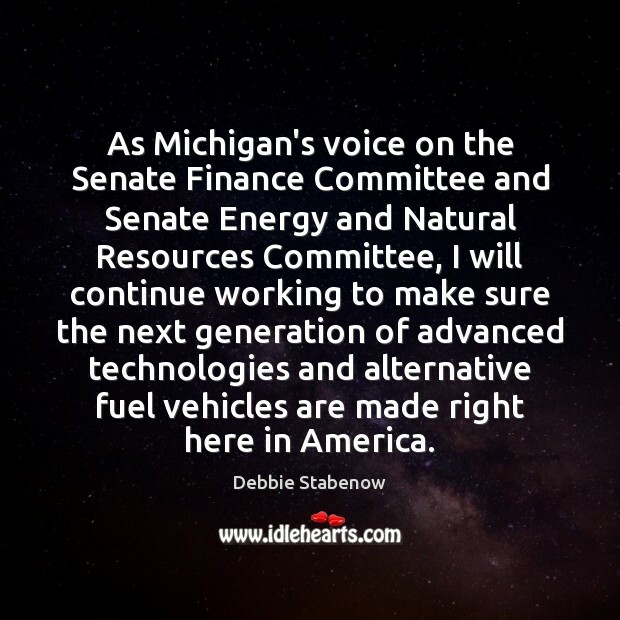 As Michigan's voice on the Senate Finance Committee and Senate Energy and Natural Resources Committee, I will continue working to make sure the next generation of advanced technologies and alternative fuel vehicles are made right here in America.